THE LATEST SAMSUNG S10 RANGE HAS ARRIVED - CHECK OUT OUR LATEST OFFERS! Last night was a fantastic night for Go Gloucestershire Communications at the annual Southwest Business and Community awards event at the Hilton Hotel in Swindon. 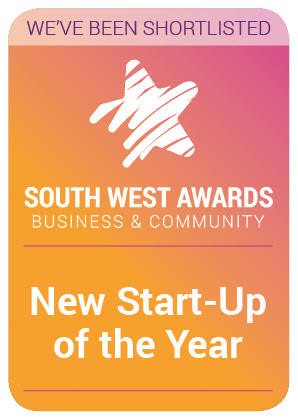 We were nominated Best New Start Up of 2019 and then even more excitingly shortlisted to the final, out of hundreds of other local businesses! In the last 18 months we have worked incredibly hard to help local businesses embrace the latest communications IT technology and grow! “We feel that this nomination is a great representation of our hard efforts and we look forward to working alongside and helping many more local organisations in 2019!” Michael Stanley, company Director. Go Glos Comms marketing partner Jason Conway from Cre8urbrand was there with company Director Michael Stanley, alongside hundreds of other forward thinking businesses who were up for nominations. This was also a fantastic charity fundraising event and a great cause for creating awareness about how much extra help and support these organisations need. Thank you for all of the support from our business partners. suppliers and of course all of our friends and family who have all helped us get to where we are today! Here’s to another great year for Go Gloucestershire Communications and all of the other businesses that were at the event. Move Over Traditional Phone Systems - It's Time To Go Hosted! THE LATEST IN ENTERPRISE PHONE TECHNOLOGY COMBINES VOICE & DATA TO REDUCE RENTALS AND SAVE 40% ON CALLS. As a Hosted VoIP provider we offer a fully integrated managed telephone service, delivered using next-generation IP technology. It offers all the latest features, lower cost calls plus the added benefit of free calls between VoIP users. Cut the cost of calls? Network multiple offices and employees? Centralise cost control and management? If you answered ‘yes’ to any of these questions, it is almost certain your business will feel the benefits of hosted VoIP. Go Gloucestershire Communications Ltd is proud to announce that we are now also supporting local businesses in the Swindon and Wiltshire area!! If your business is in this area and you would like to arrange a FREE no obligation telecoms and IT review to see how the latest communications technology can vastly improve the way that your business works, then please get in contact with us direct! We have over 20 years experience in the industry and work alongside some very bespoke cost effective suppliers and we offer an accountable proactive layer of support to ALL of our clients! We Have Been Shortlisted For New Start Up Business Of The Year! We are incredibly proud to have been nominated in the first place, let alone to be nominated alongside the final few other successful businesses who have made it to the final (300 nominees in total!). It’s so Nice to be rewarded with this nomination for all of the hard efforts that have been put in to not only growing Go Glos Comms as a company, but for most importantly helping local businesses grow by using the latest communications technology! Go Glos Comms Winter Business Mobile Offers! Go Gloucestershire Communications Nominated For New Start Up Business Of The Year! We have been nominated for our hard efforts and achievements with helping local organisations throughout the county of Gloucestershire and beyond with their telecom and IT requirements and showing them how they can massively benefit from using and embracing the latest communications technology! We are very honored to have been nominated this exciting award, especially after all of our hard efforts in the last 17 months. O2 Went Down And Customers Want Their Money Back! O2 customers will have noticed that there hasn't been faintest sign of 4G or the ability to use data services and people started to get a bit pissed off. The network has said the problem is due to a 'third party supplier' but people still want to know if they can get some money back. According to Ofcom: "Depending on the circumstances, it may be appropriate for your provider to offer you some money back while repairs are being carried out. "In more extreme cases, where repairs take much longer (for example it takes longer than usual to access a mast site to undertake repairs), you may be entitled to an additional refund or account credit. "In cases where you have been without service for some time, you may also have the right to leave the contract without penalty." The mega network service company confirmed the issues on Twitter, when it posted: "Our technical teams are investigating reports of issues when using data." Following their initial announcement it confirmed the cause of issues by posting on Twitter: "Outage Update: One of our 3rd party suppliers has identified a software issue in their system. Our technical teams are working extremely hard to resolve this. We'd encourage you to use WiFi wherever you can and we are really sorry." Not only were O2 customers affected by the outage but Giffgaff and Lycamobile customers, both subsidiaries of O2, are also stuck in a state of no service. One customer said: "@O2 what if people don't have access to WiFi.......I think you need to at least knock some money off everyone's next bill or offer some kind of gesture,it's been nearly 12 hours now what if it never gets fixed what do we do then? #o2down #o2outage." Another commented: "Furious with @giffgaff it's alright saying emergency calls work but what if there's an emergency at school or with my elderly grandparents and no one can get through to my bloody phone! #o2outage 24 hours now nearly."